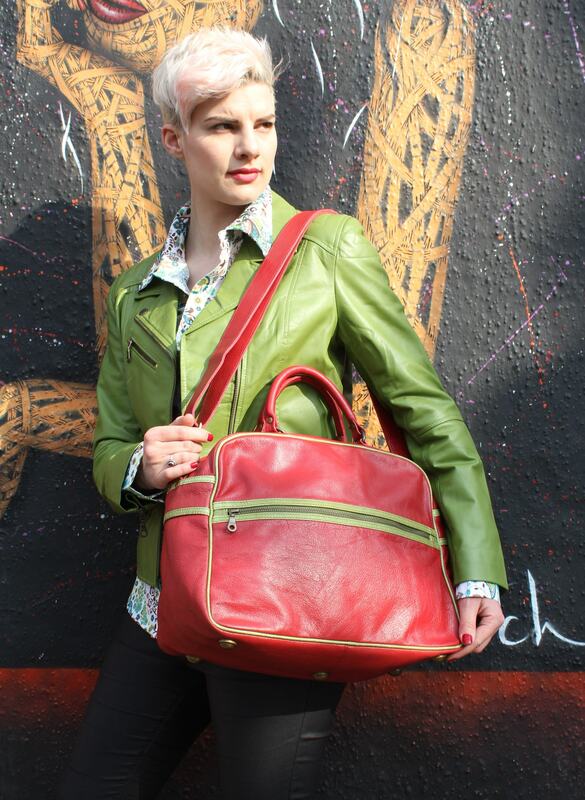 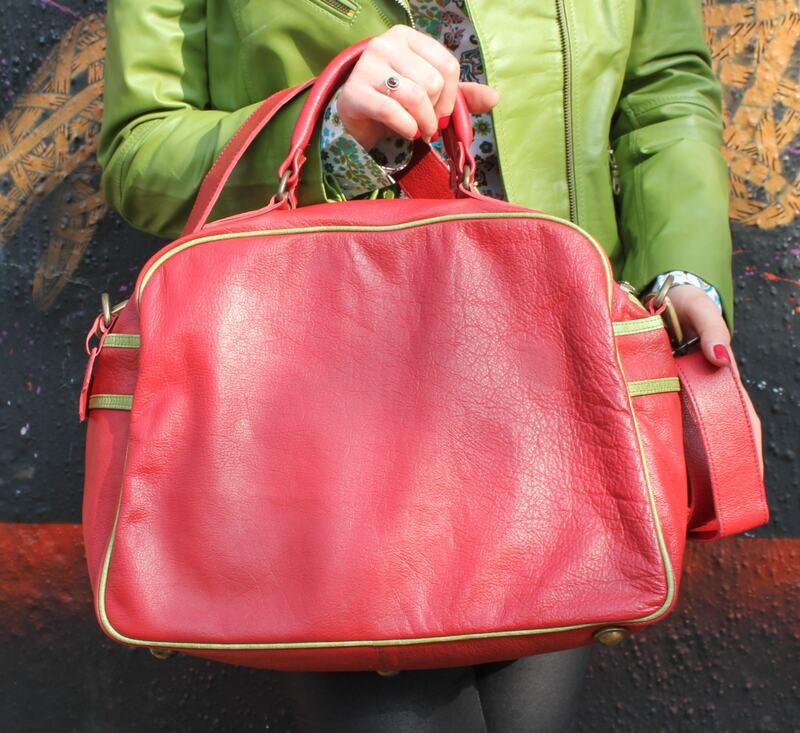 Jackie tote bag in red and apple green is made of luxurious leather and measures 39x29x17cms, with handles stretching to 127cms x 3cms and with rolled handles measuring 28cms. 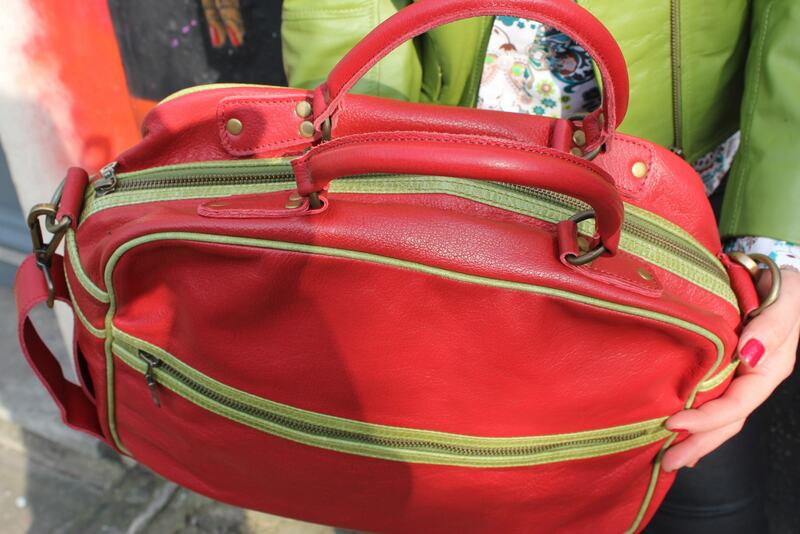 The interior zip in waterproof black lining is 17x17cms and the external zip is 34x16cms. 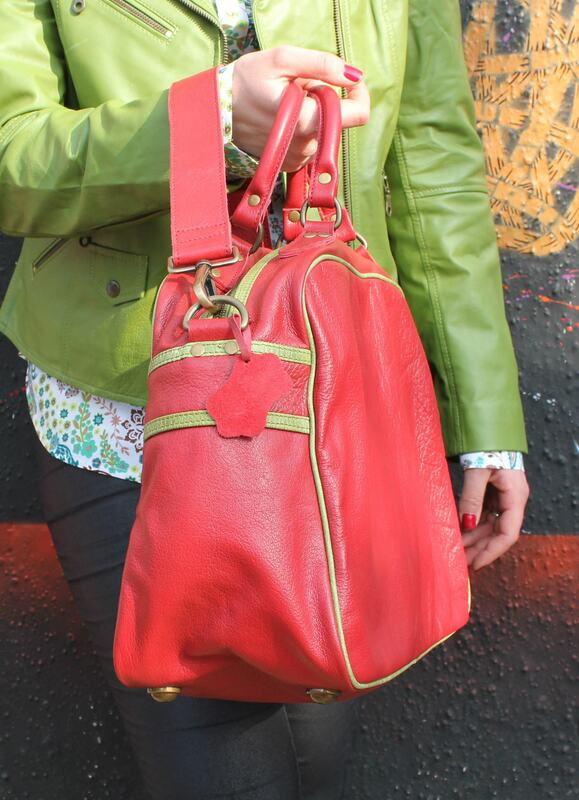 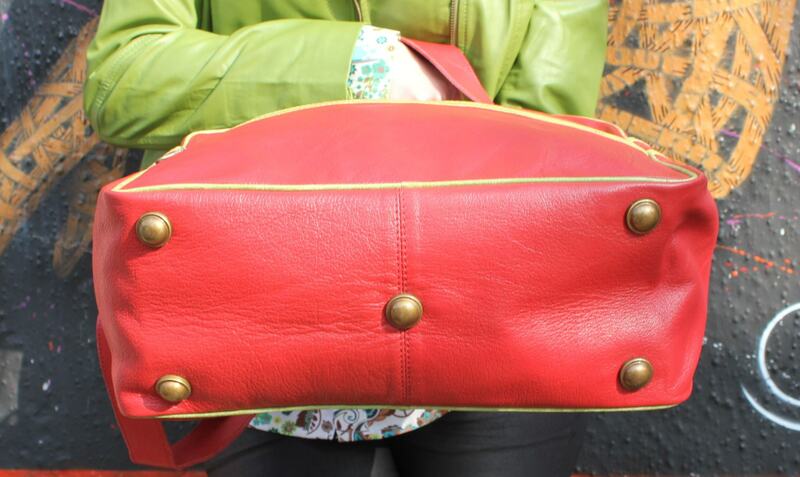 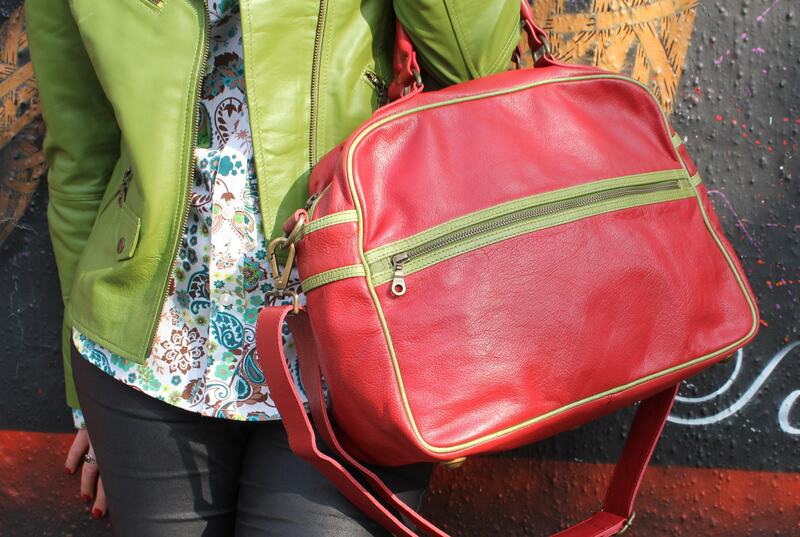 This bag is perfect for weekends, hand-luggage, everyday use, gym, overnight and for executive use.